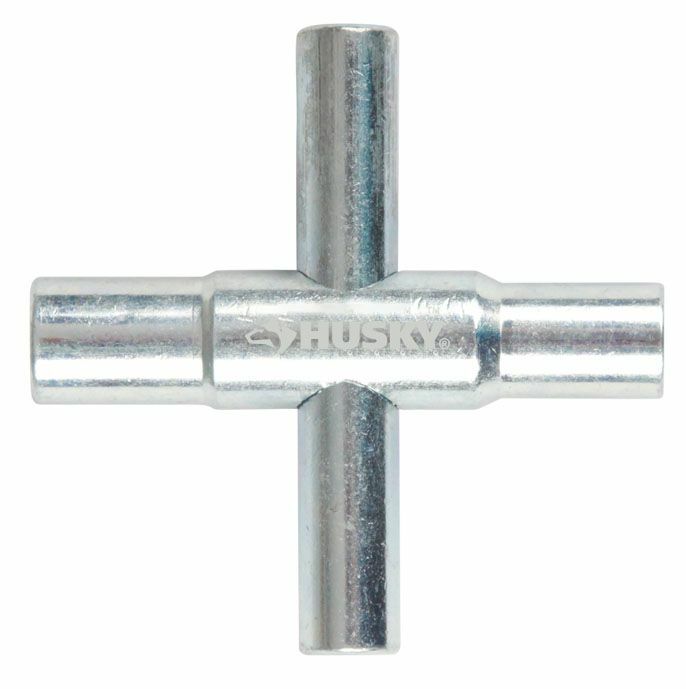 The HDX 4-way steel sillcock key wrench has a 1/4 in., 9/32 in., 5/16 in. and 11/32 in. stem to service most sillcocks in common use. It is durable, easy to use and has an attractive finish. Used to open and close sillcocks or spigots. Used in place of sillcock handles. 4-Way Sillcock Key The HDX 4-way steel sillcock key wrench has a 1/4 in., 9/32 in., 5/16 in. and 11/32 in. stem to service most sillcocks in common use. It is durable, easy to use and has an attractive finish. Used to open and close sillcocks or spigots. Used in place of sillcock handles.